More hip replacement stories, Frank in Kentucky shares the story of meeting Paul 30 years ago and lots of SEC realignment ideas from callers. Plus, Dennis Dodd joins the show. Paul is joined today by Brad Crawford, Bruce Feldman, Connor O'Gara and Dennis Dodd. Plus, a lot of conversation about hip surgery. Paul explains to Andrew in CA why the SEC means more and callers share their hip surgery stories. Plus, Connor O'Gara joins the show. Paul shares some Nick Saban stories plus lots of calls on Rick Barnes. Plus, Bruce Feldman joins the show. Paul goes over Tuesday's headlines and takes calls on Rick Barnes and the future of UT hoops. Plus, Brad Crawford joins the show. Guests include Dan Murphy, USA Today's Glenn Guilbeau, & Todd Blackledge. Todd Blackledge joins the show to talk about Alabama's spring game. Plus more calls on Will Wade situation at LSU and spring football. Glenn Guilbeau joins to talk about Will Wade & LSU. Plus more calls on spring football & the situation at LSU. Dan Murphy joins the show to talk Justin Fields & OSU. Plus more calls on Tiger, The Masters, & Will Wade being reinstated by LSU. Paul takes calls on Tiger Woods' Masters victory, Will Wade's reinstatement at LSU, and spring football! The final hour of the week includes a UT update from Wes Rucker and a call from Fred in Plano. Paul is joined by Alabama QB, Tua Tagovailoa, who talks about the loss in the National Championship and his relationship with Jalen Hurts. Plus, Gene Wojciechowski discusses the Masters from Augusta. And, spring game updates from Greg McElroy, Cecil Hurt, Chris Doering, Tom Luginbill and Wes Rucker. Paul is joined by Chris Doering and Tom Luginbill to talk about the Florida and Kentucky spring games. Plus, we get back to the calls. Paul is joined by Gene Wojciechowski from Augusta National and Greg McElroy at the Texas A&M spring game. Plus, Cecil Hurt on Alabama. And, I-Man angers the Tide fans. Paul is joined by Alabama QB Tua Tagovailoa, who talks about the loss to Clemson, what he expects this season, and what he thinks about Jalen Hurts. Brandon Marcello calls to talk all things Auburn, including the spring game. Plus, the final calls of the day, including Jerome from Birmingham. Paul is joined on this Masters Thursday by Gene Wojciechowski from Augusta. Plus, stories about Bob Jones. And, new Lady Vols coach, Kellie Harper, joins the show. Dr. Jimmy Harvey calls with stories about the legendary golfer, Bob Jones. Plus, Billy Liucci with the latest on the A&M spring game. Gene Wojciechowski joins Paul from Augusta National at the Masters to discuss Round 1. Plus, calls from Millie and Harry in New Orleans. Paul discusses the seeming lack of interest in spring football, and a caller brings up SEC vs. ACC. Plus, new Lady Vols head coach Kellie Harper joins the show. An all-caller final hour that includes reaction to Tim Brando, and calls about spring football. Plus, I-Man and Squirrel check in. Paul gets a Gator update from Andrea Adelson, and a Jalen Hurts one from Jake Trotter. Plus, the great Tim Brando calls the show. Paul fields a gripe from an 88-year-old fan, plus Tim Brando joins for a wide-ranging conversation on a litany of topics. We hear from Kellie Harper, as she's introduced as the new head coach of the Lady Vols. Plus, Jake Trotter on Jalen Hurts and the future of the Big 12. Paul gets an unusual request from a UGA fan, plus the latest on the Gators from Andrea Adelson. And, a conversation about Ole Miss football ticket sales. Paul is joined by Jon Hale to discuss UK hoops. Plus callers discuss SEC football and spring games. Paul is joined by A&M AD Scott Woodward and new Arkansas head coach, Eric Musselman. Plus, Alex Scarborough, John Adams and Jon Hale. And, I-Man calls about Stackhouse. Callers discuss the coaching changes in SEC basketball, plus a barking dog. Plus, John Adams joins the show to give the latest on Rick Barnes and UT. Paul takes calls on the hire of Kellie Harper at Tennessee, and his handling of the Jerry Stackhouse interview yesterday. Plus, Alex Scarborough on Alabama football. Paul is joined by Texas A&M AD Scott Woodward to talk about his hiring of Buzz Williams. And, new Arkansas basketball head coach, Eric Musselman. It's an all-caller final hour that includes a lot more discussion about Rick Barnes, plus Jimmy in Chicago. Paul discusses the possibility of Rick Barnes leaving UT, including with Chris Low and Pete Thamel. And, new Vandy HC Jerry Stackhouse. Plus, Sam Khan talking football. Darriel is back! Paul takes a call from him, as well as Bama Nick. Plus, Sam Khan with an update on SEC football spring games. Pete Thamel joins Paul to talk about a litany of topics around SEC basketball, plus callers discuss the possibility of Rick Barnes leaving UT. Paul is joined by new Vandy head coach Jerry Stackhouse. Plus, ESPN's Chris Low with the latest on Rick Barnes' future at UT. Paul is joined by Andy Kennedy to talk about Auburn's chances of another upset. Plus, the final calls of the week, including I-Man. Paul is joined by new A&M basketball coach, Buzz Williams. Plus, Arkansas football coach Chad Morris. Also Gary Parrish, Seth Greenberg, Andy Kennedy and more! Ahead of his team's spring game, Arkansas head coach Chad Morris joins the show. Plus, Squirrel wants to help out Millie. It's a jam-packed guest hour, featuring Gary Parrish, David Ridpath, Cole Cubelic and Seth Greenberg. It's Final Four Friday! Callers discuss the upcoming Auburn game, plus new Texas A&M head basketball coach Buzz Williams joins the show. Paul starts the hour with a well-spoken LSU caller. Then, the CEO of Apple, Tim Cook, calls. And, Dicky V. What a way to end the day! Ross Dellenger joins the show to talk about some breaking LSU basketball news. Plus, Buzz Williams is introduced as head coach at Texas A&M. Aaron Torres of FOX Sports joins to talk college hoops, and the calls keep coming on Roy Williams. Plus, an angry Bruce Pearl fan and I-Man. Paul stirs up the UNC fans with some interesting comments about Roy Williams. Plus, Bob Holt with the latest on the Arkansas hoops coaching search. Paul is joined by Andy Katz and Dana O'Neil, plus a phoner feud between Jeff in Columbus and Bama Nick. Paul is joined by Wright Thompson, Brent Zwerneman, Daymeon Fishback, Andy Katz and Dan O'Neil. Plus, a funny observation from Squirrel. Calls come from Greg in Athens, Jimmy in Chicago, I-Man and another terrible call from Bama Nick. Plus, Daymeon Fishback on Auburn's Final Four run. Tyrone has a funny Bear Bryant story, and Squirrel calls to talk up Paul's celebrity status. Plus, Brent Zwerneman with the latest on Buzz Williams to A&M. Paul takes calls on a variety of topics, including the Final Four, Coach Cal, UT Lady Vols, and more. Plus, sportswriter Wright Thompson. The final hour includes more calls about Auburn hoops and Bruce Pearl. Plus, some callers want to talk FOOTBALL! Paul is joined by both the head coach, Bruce Pearl, and AD, Allen Greene, of Auburn, who are headed to the Final Four. Plus, SEC Commissioner Greg Sankey. And, Seth Greenberg. The calls continue on the Final Four, plus a conversation with ESPN college basketball analyst and former head coach, Seth Greenberg. Paul talks with callers about SEC hoops and the improvements they've made. Plus, Auburn athletic director Allen Greene joins the show. Troy Turner, Jon Hale, Sonny Smith... and the best calls of the day. Andrew from Alabama has a message for Crimson Tide fans. Jon Hale of the Louisville Courier Journal talks about the mood in Kentucky. Troy Turner of the Opelika-Aurburn News talks about the side of Bruce Pearl that people don't hear about. Plus, calls on the Auburn win! Headlines... and Paul get's right into Auburn's upset win in the elite 8. Callers react to the first ever trip to the final four. Lots of reaction to Tennessee's lost and what is Coach Cal's legacy? Plus, Brandon Marcello, Kyle Tucker, Marty Smith and more join the show. Doris in Kentucky understands why Coach Cal get criticized and Stoney returns to defend Coach Cal...again. Plus, Kyle Tucker joins the show. Callers sound off on the recent NCAA scandals and Stoney in Kentucky wants no Coach Cal slander. Plus, Brandon Marcello joins the program. Paul and callers react to UT's loss to Purdue. Plus, John Adams joins the show. Paul is joined by Alabama new menÃ¢'a¢s basketball coach Nate Oats and Jeff Borzello previews the UT/Purdue match up. Paul welcomes new Alabama coach Nate Oats to the program. Plus, Greg Byrne, Ross Dellenger and Mike Griffith join the show. Roy in Alabama thinks Will Wade is a good guy and callers love the Nate Oats hire. Plus, Alabama Athletic Director Greg Byrne discusses hiring Nate Oats. Fred in Plano fails at defending Will Wade and Dan in Texas has a gripe with Nick Saban. Plus, Mike Griffith joins the show. Ryan McGee wraps up the final hour with Dana O'Neil and Callers. Jeff Borzello, Cecil Hurt, Pat Forde, Dana O'Neil all join the show. Pat Forde joins the show to talk about his 16 observations ahead of the Sweet 16. Callers react to the Nate Oats Hire. Gene Chizik of the SEC Analyst joins Ryan. Cecil Hurt of the Tuscaloosa News talks about Alabama's Hiring of Nate Oats. Ryan McGee filling in for Paul... Reaction to Holly Warlick's firing. Jeff Borzello weighs in on the Arkansas coaching Change. Chuck in Nashville talks about the vols opening. Paul thinks UT is set up the best in the NCAA tournament and sees no future in college athletics with Rick Pitino. Plus, Gentry Estes joins the program. Mike Anderson is let go by Arkansas and now the SEC has four coaching vacancies. Plus, Wally Hall. Matt Moscona and more join the show. BREAKING NEWS:Arkansas fires hoops coach Mike Anderson. Plus, Wally Hall and Bill Bender join the program. Callers give their thoughts on the NCAA tourney and callers complain about how late the games are. Plus, Wes Rucker joins the show. Callers react to the first weekend of the NCAA tournament. Plus, Matt Moscona joins the show to discuss LSU hoops and Will Wade. Paul is joined by Bruce Pearl to talk about Auburn's trip to the Sweet 16. Plus, Kentucky fans are offended by Paul. Paul talks with Kyle Tucker of the Athletic. Callers give their thoughts on the SEC in the tournament and how hurt is PJ Tucker? 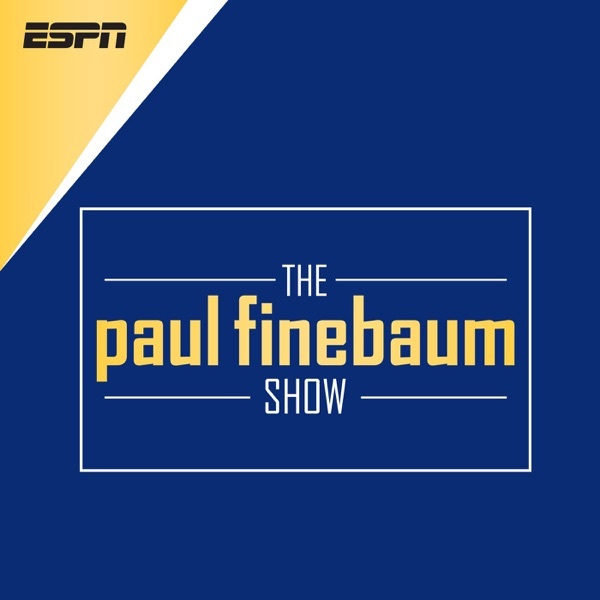 Paul talks about the coaching openings in the SEC with ESPN CBB Analyst Dan Dakich. I-Man calls in with his thoughts. Paul talks with Sean Farnham about the Madness we have already seen in the tournament and the madness still to come. Paul is joined by Adam Rittenberg and Mike DeCourcy to talk about the NCAA tournament and SEC coaching carousel. Plus, the final calls of the week on hoops. Paul discusses all the news surrounding SEC basketball coaches, and is joined by Cecil Hurt, and Mike DeCourcy. Plus, Gator F Kevarrius Hayes. And, Vince Thompson. After their first round win yesterday, Florida Gators' forward Kevarrius Hayes calls-in to discuss. Plus, media marketing guru, Vince Thompson. It's an all-caller hour that includes mostly calls about SEC basketball, including tournament performance and the coaching carousel. Paul and callers react to the news that Alabama and basketball coach Avery Johnson are negotiating a buyout. Then, Cecil Hurt joins to give the inside scoop. Ryan starts the final hour with Linda in Argo & Fred in Plano. Plus, Pat Bradley on what he's seen so far in the NCAA Tournament. It's the hour that Vernon in KY was waiting for: Marty Smith joins the show to talk ACC hoops! Plus, LSU head coach Tony Benford and Mr. CFB, Tony Barnhart. Ryan is joined by Alyssa Lang, who saw LSU take down Yale earlier today. Then, Auburn guard Jared Harper on his team's crazy first-round survival. And, Alden Gonzalez. Ryan McGee is in for Paul and talking NCAA tourney with callers, as LSU and Auburn both survive upsets. Plus, a conversation on Avery Johnson's future at Bama. Paul is joined by Katie Nolan to discuss their matchup in "The Most Annoying Sports Media Member" bracket. Plus, Jimmy in Chicago calls. Tim Brando and Jay Bilas join Paul to break down the NCAA tourney. Plus, UF head coach Mike White. And, Katie Nolan, who is facing Paul in a different March Madness bracket. Paul is joined by Florida head coach, Mike White, to talk about his team's first round game against Nevada. Plus, calls on the NCAA tournament. We start the hour with calls from Millie, Homer, Greg in Athens and Fred in Plano. Plus, Jay Bilas breaks down the NCAA tournament. Callers share Nolan Richardson stories and discuss all scenarios of the NCAA tournament. Plus, Ben Howland joins the show. Paul has tournament talk with Auburn coach Bruce Pearl. Plus, Seth Walder and Vanderbilt football coach Derek Mason join the show. Paul talks NCAA tourney with Ole Miss coach Kermit Davis. Plus, Greg McElroy and former Alabama linebacker Christian Miller talk Bama's pro day. Paul discusses how successful the SEC can be in the NCAA tournament. Plus, Hugh Kellenberger joins the program. Paul and callers react to the release of the NCAA tournament bracket. Plus, Seth Greenberg, Bob Valvano and Hugh Kellenberger with analysis. And, Dale Brown. Paul takes calls on the SEC tourney and seeding of SEC teams in the NCAA tournament. Plus, Bob Valvano dissects the bracket. Callers share their Dale Brown stories with Paul and Millie checks in. Plus, Dale Brown joins the show. Paul discusses callers reaction to Auburn's seeding and UK hoops. Plus, Seth Greenberg reacts to the tournament selections. Paul chats some with Greg Sankey and then is joined by former Tennessee great Mike Jackson. Auburn 24/7's Brandon Marcello joins the show, plus calls! South Carolina HC Frank Martin, the Clarion Ledger's Nick Suss, & AL.com's Rainer Sabin all join the show. Alabama HC Avery Johnson and Matt Jones join Paul on set at the SEC tournament. Paul hears from Gene in Kentucky, who is a self-proclaimed "most dedicated UK fan". Plus, Brent Zwerneman has breaking news regarding Texas A&M hoops coach Billy Kennedy. Paul takes calls on the Will Wade situation and the Varsity Blues scandal. Plus, Don Jackson discusses legal ramifications of LSU's Will Wade and more. Jim in Birmingham challenges Paul and Jay Bilas on the Will Wade scandal. Plus, former Alabama DT Quinnen Williams joins the program. Paul discusses Operation: Varsity Blues. Plus, Jay Bilas joins the show to discuss the LSU scandal and the academic scandal in the west. The Advocate's Scott Rabalais talks about LSU & Will Wade, plus Brent Musburger, DeAndre Baker, & Michael McCann all join the show. Legal Analyst & Sports Illustrated contributor Michael McCann joins the show plus more calls on LSU & Will Wade. VSiN & Oakland Raiders PxP man Brent Musburger joins the show. Plus more calls on LSU & Will Wade. The final hour of the week includes Mo Rocca, who interviewed Harvey Updyke for a newly released podcast. Plus, I-Man recounts the famous Updyke call. Paul reacts to the suspension of Will Wade by LSU and is joined by Glenn Guilbeau and Seth Greenberg. Plus, Buddy Martin remembers Dan Jenkins. And, Mo Rocca on Harvey Updyke. The calls continue on Will Wade, plus Seth Greenberg calls the show with his thoughts. And, Paul gets into it with Fred from Plano. Paul reacts to the breaking news that Will Wade has been suspended by LSU. Plus, Buddy Martin remembers Dan Jenkins, the legendary sports writer who died yesterday at age 89. An all-caller final hour with Matt Jones, who continues to field calls from angry UT fans. Plus, Jeff in Columbus and Jimmy in Chicago. The Vols calls continue, as Matt has once again angered their fanbase. Plus, Mark Schlabach with the latest on the Will Wade situation. And, I-Man calls. Matt Jones takes callers from listeners on Will Wade, UT football, and even a Vandy fan! Matt Jones is in for Paul, reacting to the breaking news about the controversy surrounding LSU head coach Will Wade. And, Matt Moscona joins to discuss the story. Sean Farnham joins Paul to discuss all things SEC hoops. Plus, the final calls of the day. Callers react to the Alabama basketball mess, and Joseph Goodman from AL.com weighs-in. Plus, Bill Bender on SEC football, and Sean Farnham on SEC hoops. More calls about the Alabama hoops situation, and then Sheldon Mickles on the LSU basketball program. Plus, a comparison of the SEC vs. the ACC in football. The calls start flowing on Avery Johnson and Alabama basketball. Plus, Bill Bender turns our attention to next season in college football. Squirrel, Millie and Homer start the show and then Paul welcomes in Joseph Goodman for a contentious conversation about Alabama hoops. Then, calls on Bama basketball. The final hour includes a bold prediction by Dawg Nation's Mike Griffith and Roy Philpott and Daymeon Fishback talking SEC hoops. Paul is joined by Stewart Mandel to talk latest coach rankings, Dawg Nation's Mike Griffith and Honda Classic winner, Keith Mitchell. Plus, an emotional call from a first-responder who helped victims of the tornado that devastated Lee County, Alabama. Paul is joined by former UGA golfer and Honda Classic winner, Keith Mitchell. Plus, Greg in Athens talks about the impending end of Jim Delaney's Big 10 career. Harry gives us a live Mardi Gras report, then Stewart Mandel defends his CFB coach rankings piece. Plus, an emotional call from an AL first-responder. Paul checks-in with the show's Texas A&M correspondent, Matt in San Antonio. Then, ESPN's Sam Khan on Jimbo Fisher. Plus, calls on SEC hoops. Paul takes calls on Chick Graning & Bobby Dodd. Tennessee HC Jeremy Pruitt joins the show, plus Paul takes calls on a variety of subjects. Mizzou AD Jim Sterk & MSST WBB head coach Vic Schaefer join the show. In the final hour of the week, Paul is joined by Chris Low to talk UT football and hoops. Plus, calls on SEC hoops and more. A lot of UT conversation, including Holly Warlick's future, and the future of UT football. John Adams, Jordan Davis, Seth Greenberg and Chris Low join. Seth Greenberg starts the hour with a very emotional conversation about what it feels like to miss the NCAA tournament, and get fired as a coach. Then, callers react. Country Music Star Jordan Davis calls the show to discuss myriad topics, including his love for LSU. Plus, more calls on SEC hoops. Pauls discusses UT hoops, both men's and women's, with callers. Plus, John Adams on why Holly Warlick is likely on the way out. We go radio-only in the final hour, taking your calls! Paul is joined by Nick Suss of the Clarion Ledger, Ivan Maisel of ESPN, Kyle Tucker of the Athletic, and Pat Dooley of the Gainesville Sun. Pat Dooley from the Gainesville Sun joins the show. Logan from Oxford wants to talk Ole Miss football. Kyle Tucker of the Athletic joins the show. Vance in Dawsonville goes after "Old Leatherneck." Nick Suss of the Clarion Ledger, and ESPN Senior Writer Ivan Maisel, join the show. Orlando Apollos coach Steve Spurrier joins the show, plus The Mercury News' John Wilner, and Danny Robbins talks about the story he broke 32 years ago today. Roy Philpott and Mark Wise join the show before the Tennessee-Ole Miss game. Plus more calls on the Ole Miss protest and more! Orlando Apollos HC Steve Spurrier joins the show %2B more calls on SEC basketball & the Ole Miss story. Danny Robbins joins to reminisce on breaking the SMU death penalty story 32 years ago. Plus calls on Kentucky & Tennessee basketball %2B more. Linda tries to defend Larry and Rich. Plus, Paul Biancardi & Roy Philpott join as they are getting set for Bama/USC hoops. Plus, the final calls of the day. Paul is joined the always entertaining Bruce Feldman, Tim Brando and Jim Donnan. Plus, a conversation about Paul's past career at McDonald's. Jimmy from Chicago calls, and then Jim Donnan joins the show. Plus, the conversation about the Ole Miss basketball players kneeling starts back up. Paul takes calls about SEC hoops and his McDonald's career. Plus, Tim Brando joins for a wide-ranging conversation about myriad topics. Paul starts with caller reaction to yesterday, plus a story about his McDonald's career. Then, Bruce Feldman joins to discuss the NFL Draft Combine. The final hour includes a conversation about Alabama with Charlie Potter. Plus, more calls on the Ole Miss players kneeling during the national anthem. Lots of reaction today from callers on the Ole Miss basketball players kneeling during the national anthem, and AD Ross Bjork defends the players. Plus, Wes Rucker, Dan Dakich, Connor O'Gara and Charlie Potter. The calls flood in with responses to the Ole Miss players kneeling during the National Anthem on Saturday. Plus, Connor O'Gara on the LSU football team. Paul is joined by Ole Miss AD Ross Bjork, who defends his basketball players who knelt during the National Anthem, and callers react strongly. Plus, Dan Dakich. Paul and callers react to a pair of SEC controversies from the weekend, including the LSU/UT officiating and the Ole Miss players kneeling. Plus, Wes Rucker of Go Vols 24/7. The final hour of the week includes a conversation with Seth Greenberg about Zion and SEC hoops. Plus, calls from Legend and I-Man. Paul reacts to Derek Mason's contract extension, then is joined by Adam Sparks for more. Plus, strong opinions about Zion from Andy Katz & Seth Greenberg. Jimmy in Chicago comments about the strength of the SEC in basketball. Then, Andy Katz calls in to discuss Zion and the one and done. Plus, Jerome in B-Ham.